Where is home? What are we longing for when we long for home? Why do we never feel fully at home? These are some of the questions that Chris Anderson asks in her work. The theme is a personal one, reflecting her own frequent movement between multiple homes both as a child and an adult. At the same time, it is also one that connects deeply with our common human experience. Anderson explores this theme using American images and cultural markers, thus employing icons from her own national home to grapple with the deeper issues of our universal longing for home. In this series, entitled Family Stories: Historical Dislocations in the American Landscape, Anderson has grouped multiple images together to bring them into visual dialogue with one other. Each picture gives the viewer a different perspective on the theme and so enhances and deepens the dialogue taking place. 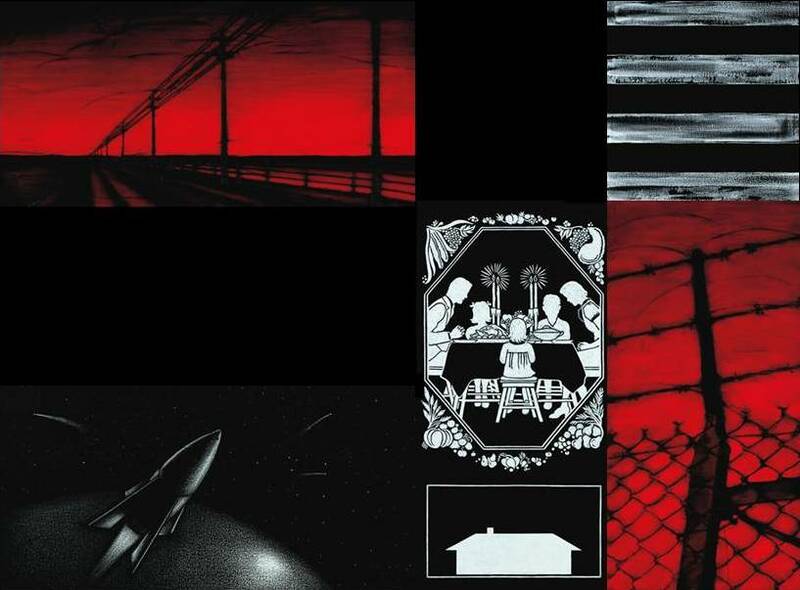 The images are connected visually by their limited colour scheme – black, white and red – a stratagem which encourages the viewer to reflect on their thematic connection: our longing for home. The first picture is suggestive of a typical American cultural activity: a road trip. The road leads the viewer's eye into an open landscape, with nothing to be seen except the empty road, a few electricity poles and a river. The image evokes feelings of adventure and freedom, alongside dislocation and loneliness. The sky, coloured bright red and black, adds to the feeling of loss, pain and, at the same time, longing. To leave home is to experience pain and loss, but it is also to experience yearning and hope – perhaps home may yet be found again. This abstract image might not easily evoke associations with the theme, and yet the repetition of black and white lines is suggestive of the sameness and monotony that often characterizes home. This, of course, is not entirely negative: home in a sense is defined by familiarity, by the sameness that gives us the feeling of security. 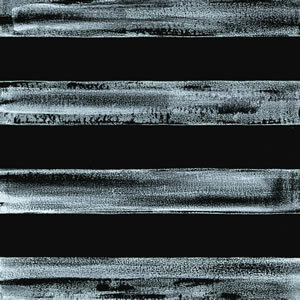 The image suggests something more, however, as the black background paint shimmers through the white lines, giving them a sense of vibrancy and texture. Is there a longing here for a home that is both familiar and yet not monotonous – secure and yet at the same time vibrant? This picture evokes memories of a key moment in American history – the first moon landing – and at the same time draws attention to the last American frontier: the exploration of the universe. No further dislocation from home could be possible. While as humans we long for home and rootedness, we also seek to break the limits of our boundaries, to strive for more, to find a better home. Yet as we do so we often experience further isolation, loneliness and dislocation. From a Christian point of view our restlessness and our ache for a better home reflect our longing for God and for finding our home in him, a home that one day will be enjoyed without dislocation. In contrast to the dislocation of the previous picture, this image initially hints at a perfect home. 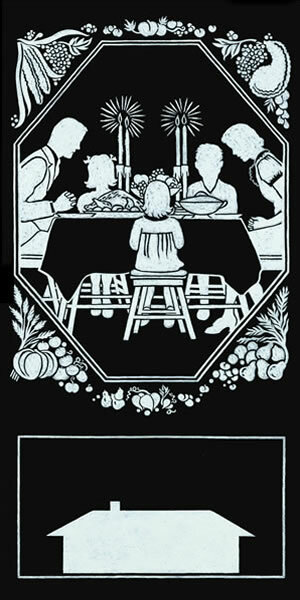 An American thanksgiving dinner, an event of central significance in the American experience of home and family, is strongly suggested here. 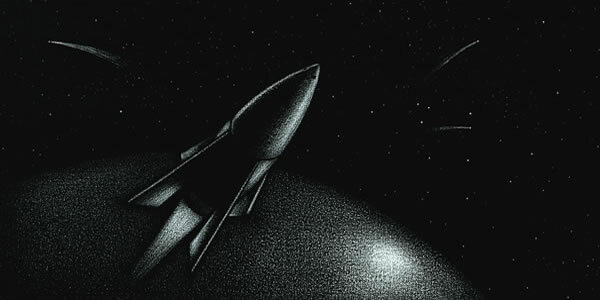 However, while the scene may appear to be perfect, the lack of facial details and the stark black-and-white color scheme distances the viewer. Is this too idyllic a scene? A too perfect picture of home? Something that in its fullness we will only experience in heaven? 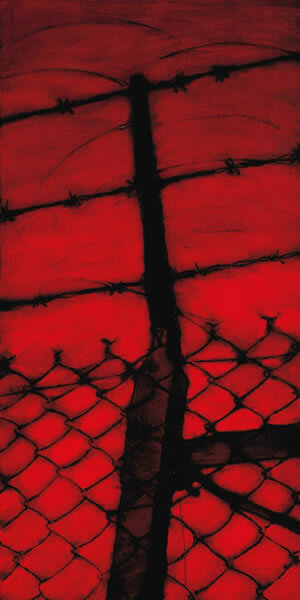 This image is suggestive of a prison experience, where one feels enclosed and trapped. 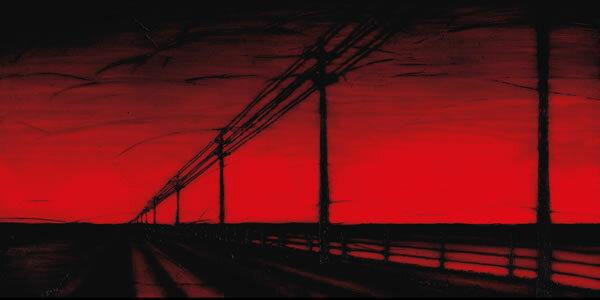 The sky with its bright red colour evokes feelings of pain, violence and loneliness. The implication here is that we can experience our homes as prisons, perhaps rarely in a literal sense, but often in an emotional and spiritual sense. Yet the central placement and distinct shape of the fence may suggest the form of a cross. Jesus is present in the midst of our imprisonments as we hope and long for redemption and our heavenly dwelling with him. Chris Anderson: Selections from Family Stories: Historical Dislocations in the American Landscape, painting installations. 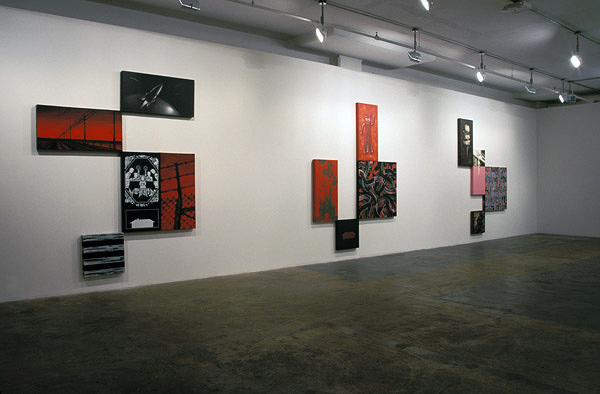 The top image is the installation view, "On and Off the Wall," New York Foundation for the Art Painting Fellows' Show, Phillips, de Pury & Luxembourg Galleries, New York, NY, curated by William Stover, Assistant Curator of Contemporary Art, Museum of Fine Arts, Boston. Chris Anderson studied visual art in California (Scripps College and Claremont Graduate University), in New York (Pratt Institute of Art) and in Italy (Tyler School of Art in Rome). From 1996 to 2000, Anderson lived and worked as a Fulbright Senior Scholar in the Arts in Berlin. Her work has been shown widely and can be found in over fifty public and corporate collections. She has received various awards and honours for her work, including a variety of fellowship grants, for example from The National Endowment for the Arts and the New York Foundation for the Arts. Anderson has taught on the faculties of a number of schools, including Parsons School of Design and Skidmore College, and frequently lectured as a guest artist for art institutions, including Columbia University Graduate Department of Art and the Berlin University of the Arts, Germany. Currently Anderson lives and works in Manhattan, New York. Her website is http://www.chrisandersonart.com. Claudia Proudlove-Carrara studied Art History and English at the Karl-Franzens University in Graz, Austria and at the Roehampton Institute in London, while also completing her Art Teacher Training at the Paedagogische Akademie Eggenberg, Graz. She went on to study for a Masters in Christianity and the Arts at Regent College, Vancouver, Canada where she had the privilege of taking a class with Chris Anderson (Till We Have Faces). In her final project at Regent College she focused on the connection between word and image in a lecture and exhibition on Women and the Kingdom of God: Visual Encounters in Luke's Gospel. Presently she works at home as the mother of a young toddler and is soon expecting the birth of her second child.